Both developed by and home to Wilson Bowden Developments, Forest Business Park is part of the established Bardon business area in north west Leicestershire and comprises both office and industrial/warehouse buildings. Junction 22 of the M1 motorway is less than 2 miles to the east, via dual carriageway and the A511 provides swift access to the M42 motorway and the West Midlands. Nottingham, Derby, Leicester and Birmingham are within easy reach, with local shopping facilities available within Coalville. 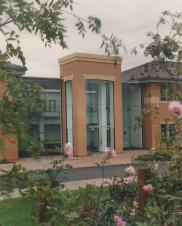 Forest Business Park is also within easy reach of both Birmingham International and East Midlands airports.